Richard Fortey has spent his life working with the bones and imprints of long-dead animals and plants. When he finally retires to the countryside, he finds his inner naturalist and starts exploring the woods around his new home. This book is the result of that exploration. Each chapter follows one month of the year and works as a compilation of his observations. It’s like a year in the life of trees (and everything else that lives under the trees). 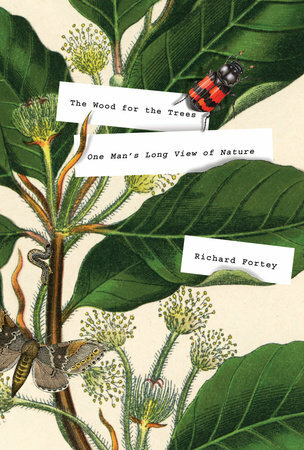 I love the format of this book, how it follows the changes in Fortey’s home in the woods, how he pays attention to the tiny details of nature. 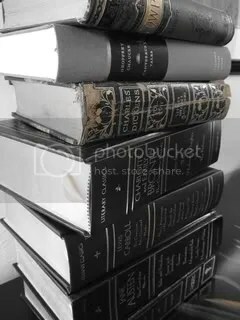 There’s also lots of black-and-white images to back up his descriptions, making this feel like a scrapbook of sorts, documenting this corner of the world in both text and pictures. “Some trees stand close together, like a pair of friends huddling in mutual support. Others are almost solitary, rearing away from their fellows in the midst of a clearing” (7). It is descriptions like this that make The Wood for the Trees a cozy read, the kind of book you take with you on an early autumn day to the riverside (perhaps the Thames?) with a blanket and a carafe of hot cider. My favorite part is the description of the “sea of bluebells. The whole forest floor beyond is coloured by thousands upon thousands of flowers . . . like the yachted water in a Dufy painting” (8). 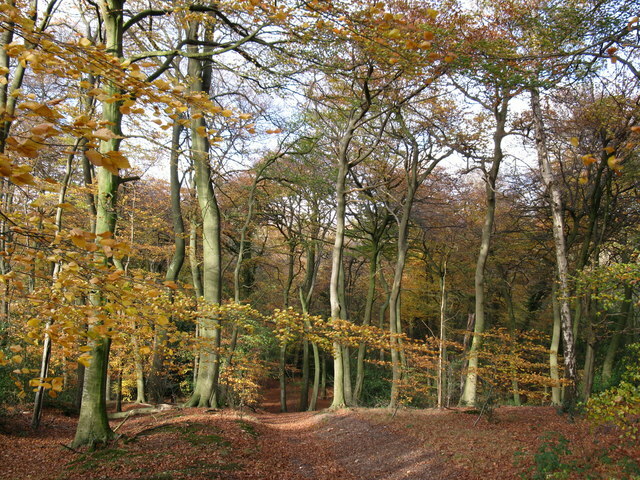 Fortey lives in the woods which has now been divided among different people; they call themselves the woodies, people who care for the woods. And this is what I find most interesting in Fortey’s project: understandingthe intersection of people and nature in this particular plot of land. Most of the time he stands in the background observing the plants and animals he notices, but interspersed are his observations of people, especially how they have changed the local environment over the years. In a way, this book is a kind of chronicle of people changing the woods, or perhaps in Forety’s case, being changed by the woods. This takes the book from being a simple nature journal to a big picture exploration of the environment and how people influence the world they live in. Ultimately though, this is an upbeat read if you enjoy imagining the flora and fauna of the British countryside, if like me, you’re sitting under a gloomy Midwestern sky at the beginning of winter. Perhaps not necessarily a speedy book, but if you like to take it slow and meditate on the simple things, this might be the book for you. Thank you to Vintage Books for providing a copy of The Wood for the Trees for review. If you would like to purchase a copy, visit Penguin Random House. London-born and Oxford-bred, Lady Antonia Fraser, queen of biography, remembers her own life in My History: A Memoir of Growing Up. With anecdotes that speak to Fraser’s love of, and later career in, biographical history, this winding journey of memory will appeal to lovers of Fraser’s work as well as Anglophiles who want to explore life in England during the 1930s and 1940s. The book follows Fraser’s memories from early childhood through her beginnings in publishing. A magical remembering of the bells ringing in Oxford start us out in the first chapter. Not yet three years old, Fraser witnesses King George V and Queen Mary on their Silver Jubilee, standing in a tower in Oxford. Throughout her childhood she speaks of castles and ancestral haunts. With such beginnings and surroundings, who can be surprised by Fraser’s later obsession with the history of the British? Much of the first section of the book talks about Fraser’s parents, both of whom were very passionate politically and professionally. Coming from a privileged British family, Fraser was given a front row seat to her country’s workings as both her parents were involved in the government. She tells of canvassing door-to-door in her parents behalf and working on her mother’s campaign. This was a time Fraser remembers fondly. Those who are well-read in Fraser’s work will likely not be surprised by her interest in strong, fascinating women in history, such as Marie Antoinette and Mary, Queen of Scots. This attraction to the female anecdotes of history can be seen starting in Fraser’s childhood. Reading the works of Henrietta Marshall from the young age of four, Fraser quickly gained an interest in the aged past, and especially the noted women of history. 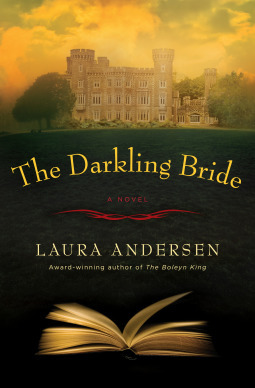 As she read about Mary, Queen of Scots, Fraser put herself in the place of the fated Queen; this speaks to her intuitive ability to connect the past with modern readers. Perhaps another reason Fraser portrays strong female characters is because of her mother as well as her own upbringing. Watching her mother run for government and speak with passion about her beliefs perhaps inspired the daughter in her own independence and personal passion. Fraser recounts the years she spent at a school once known as a strictly boys’ school and how she felt somewhat special about being in the small number of girls present. These experiences no doubt helped build Fraser’s own character as she later made a name for herself in publishing. Through vivid details and charming narratives, Fraser brings her own life to the realm of biography. She peruses her past with a historian’s analysis combined with a grandmother’s reminiscence. It’s as if Fraser is taking a step aside from her lifetime career of literary work to make meaning of her experience and bring it all full circle. 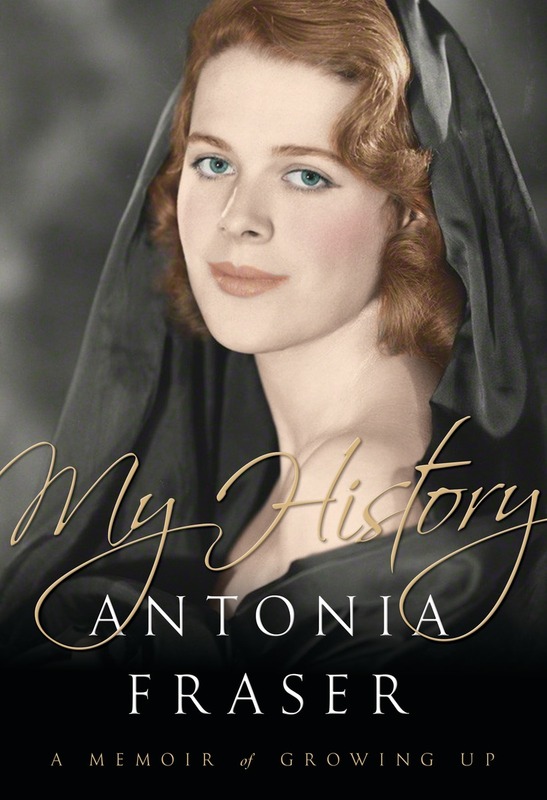 Those familiar with the biographies of Antonia Fraser will find her childhood background enlightening, connecting pieces of her own past to her future fascination with history. But even those for whom My History is their first book by Fraser will enjoy her personal stories, her tales of living through World War II, school at Oxford, and her growing up surrounded by British politicians. For Anglophiles, My History provides a look at an England changing from pre-war to post-war; it gives the reader glances at the streets of Oxford as well as the publishing realm during the mid-century. My History: A Memoir of Growing Up will be published in the U.S. October 13, 2015, but you can you pre-order your copy here. Thank you to Nan A. Talese/Doubleday for providing a galley for review. As the end of summer simmers down and autumn approaches, you may be looking forward to some quiet afternoon reading. Just the thing for a relaxing bookfest on the sofa, London Road: Linked Stories by Tessa Smith McGovern is a group of short short stories taking place in my favorite of all places: England. The scene opens on an unusually hot morning outside, of all places, Chorley Prison. We meet Janice Bailey, recent inmate, as she sets off on a journey to London to restart her life. All she has to go on are a few pounds and a friend’s recommendation to a halfway house in the city. Having been in prison for manslaughter in self-defense, she doubts that anyone will ever take her in or give her a shot. This lovely group of stories is essentially about second chances. Janice has a second chance to live again, with new friends, a new job, and new purpose. With each story, we meet a new character, someone linked with the rest. All the characters have come together in the city to find a new way of life, pulling the past’s baggage along with them. We meet Mandy, known for petty theft, on probation in a literary reading group. We meet Isobel, who’s on antipsychotic drugs and has a difficult relationship with her mother. We meet women who are obsessive, afraid, lonely. What do they have in common? They all come to this boarding house in London where life throws them one more chance to stay alive and keep going. With the montage-feeling of Love Actually. London Road is written to lift your spirits and show you the hope that follows tragedy. Each character has been through life’s worst, but by the end, they find resolution and something to help them along. I suppose this is what the title could refer to: the journey each character takes from bad to good, from hopeless to purposeful. Because of this forward-looking perspective, I recommend this book to anyone looking for an easy, uplifting read. Each story is quite short, and the entire book could be read in an afternoon.While at times I would have like a more in-depth look at the characters’ lives, it’s good to remember that these stories are purposed as flash fiction. McGovern manages to combine good storytelling and conciseness in London Road. I especially recommend this book to my fellow Anglophiles as the book also includes references to the Queen, afternoon tea, and pubs. What’s not to like? You can find the e-book for free or $0.99 (depending on your Amazon membership) here! 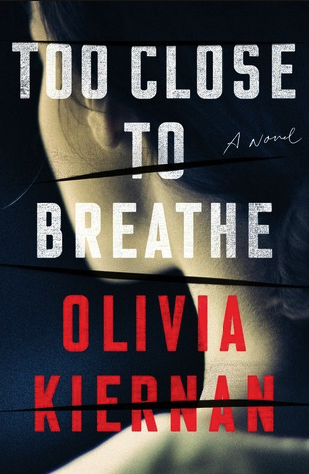 Thanks to BookTrib for providing me with London Road to review.